From Monday to Friday designers and their ateliers rolled out their S/S16 designs. 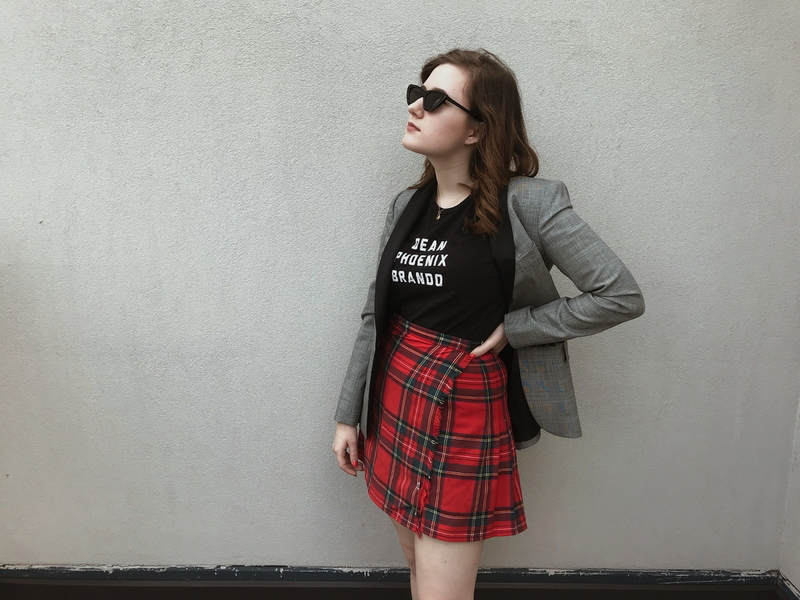 As always, I rounded up my favourites from this week in a blog post, if you want to see more of my fashion week favs from throughout the years, you can just see them under my 'fashion' tab. The first show was Atelier Versace. 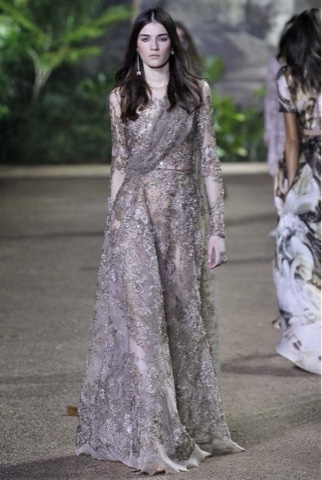 I have to say I'm not really a huge fan of Versace but there couture designs this year were a turning point for me. 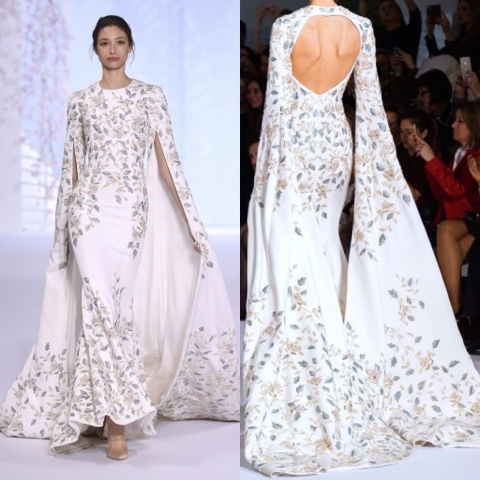 It still had it's edgy look but included a more refined silhouette, giving it what I think is a younger, fresher but more elegant overall look. But with cutouts and snippets of bold electric colours, it was undoubtedly Versace. 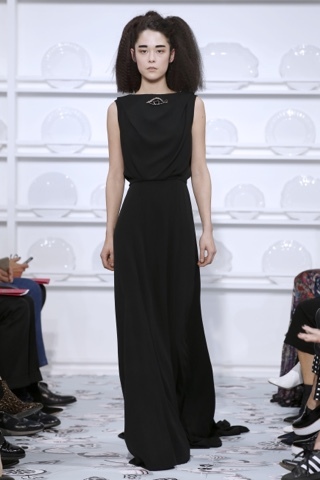 My next favourite looks came from the Schiaparelli runway, where the theme was food and what we eat it on/with. 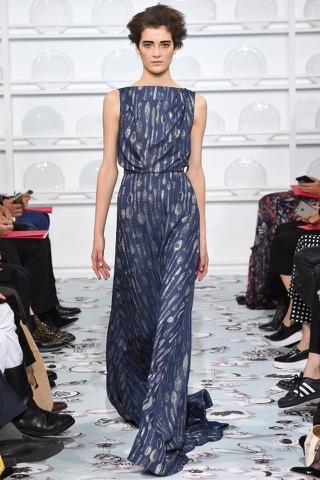 A whimsical runway of China plates adorning tops and gowns, but in terms of personal favourites it has to be this midnight blue gown with a silver cutlery pattern and the simple black gown with an eye brooch fastened onto the neckline. 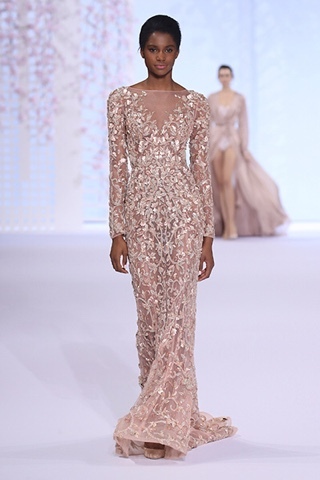 Ralph & Russo are the next on my list. 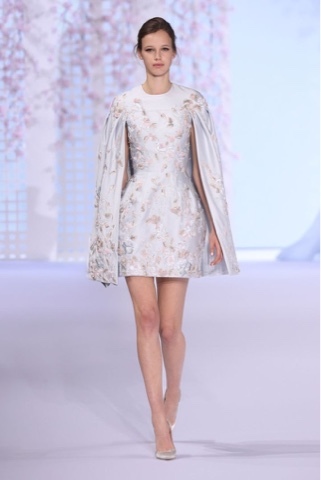 As always, femininity was a huge factor in the collection with appliqué flowers, hand painted petals, frosted pastels and billowing capes. Dresses that were form fitting to the waist and peplums creating dainty frames with a call to the 1940/50s but incorporating a fresh aesthetic bringing it to the 21st century. 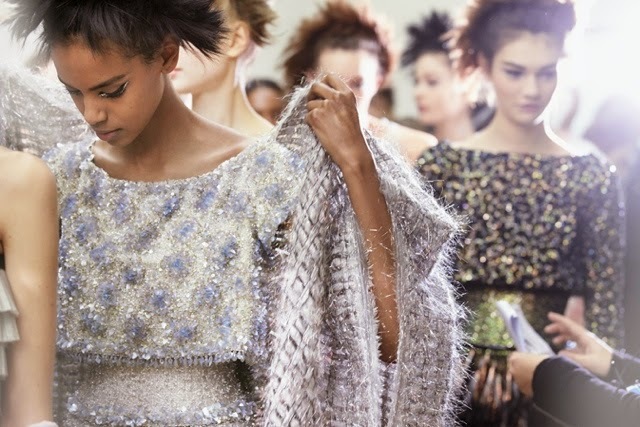 Giambattista Valli's haute couture show was everything an atelier would strive for. 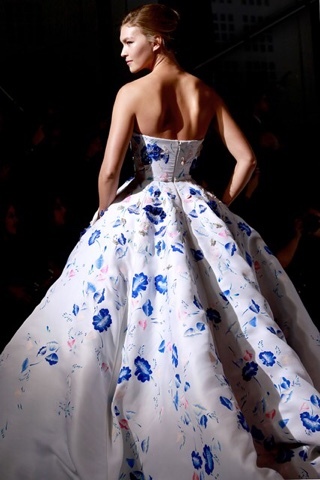 The collection was young, fresh and had captured audiences with it's quality of workmanship. 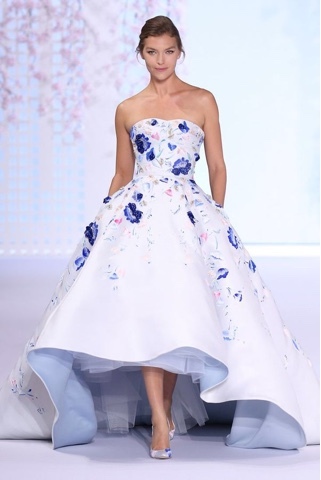 While Valli's target audience is younger than many other couturiers, it is his prominent use of florals and full skirts that flounce as the models walk down the runway that have him romoured to be in the running to take over Dior after Raf Simmons departure. His S/S16 collection were composed of florals, tweed, layers of tuelle under skirts, capes, pastel pinks and its complementary colours. I'd love to see this look on a young actress like Elle Fanning or Chloe Grace Moretz. Alexis Mabille is usuall known for his outlandish and extravagant designs, but it was the debut of this collection that left people perplexed, because it was in fact quite the opposite of what we come to expect. Monochromes, streamlined gowns and a buissiness like attire, it is the opposite of the large bows and sequins we're accustomed to. I feel like this dress was made for either Angelina Jolie or Gweynth Palthrow. 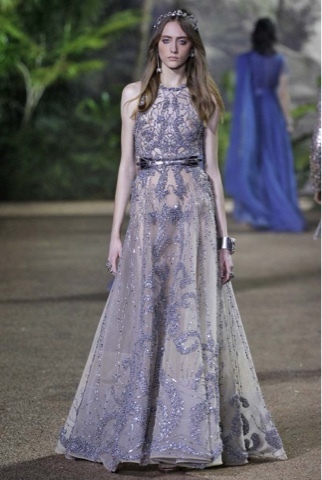 And now to one of my all time favourite designers, Ellie Saab. This collection seemed to differ more from the rest, getting inspiration from what seems a mixture of both Indian and Victorian dress and staying away from the very colourful prints they're known for, instead opting for muted lavenders, gold and browns. Tell me in the comments what was your favourite look, included in this post or not!